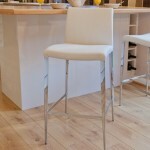 Brushed steel bar stools are a great contemporary addition for many modern kitchens. 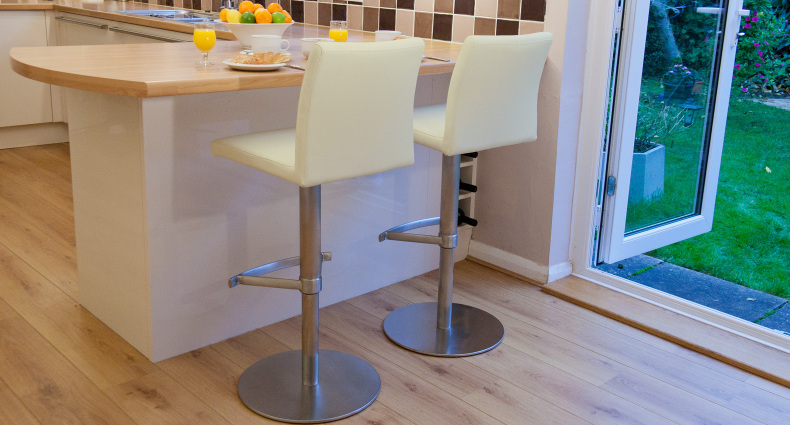 Even though lots of kitchens have stainless steel extractor hoods, ovens, hobs, American fridge-freezers, door knobs and even kettles and toasters, there aren’t many bar stools in the market to match. 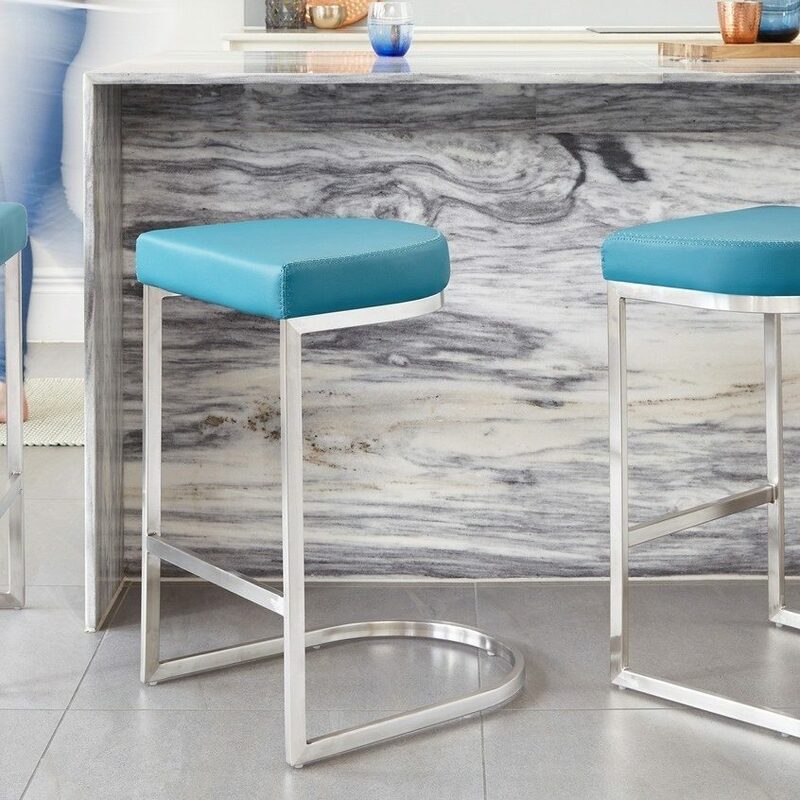 We think that brushed steel bar stools are very stylish and blend perfectly with stainless steel appliances and accessories, so we’ve introduced some new exclusive brushed steel bar stools to our range. Our exclusive Fondi Brushed Steel Gas Lift Bar Stool is contemporary, comfortable and curvy and offers fantastic value for money. The flat sturdy base is finished in beautiful brushed steel or shiny chrome, matching the adjustable gas lift system and funky footrest. The curves of the faux leather seat give you a small backrest and the front curve fits neatly behind your knees. The Fondi Brushed Steel Bar Stool is available in high quality black or white hard-wearing faux leather. 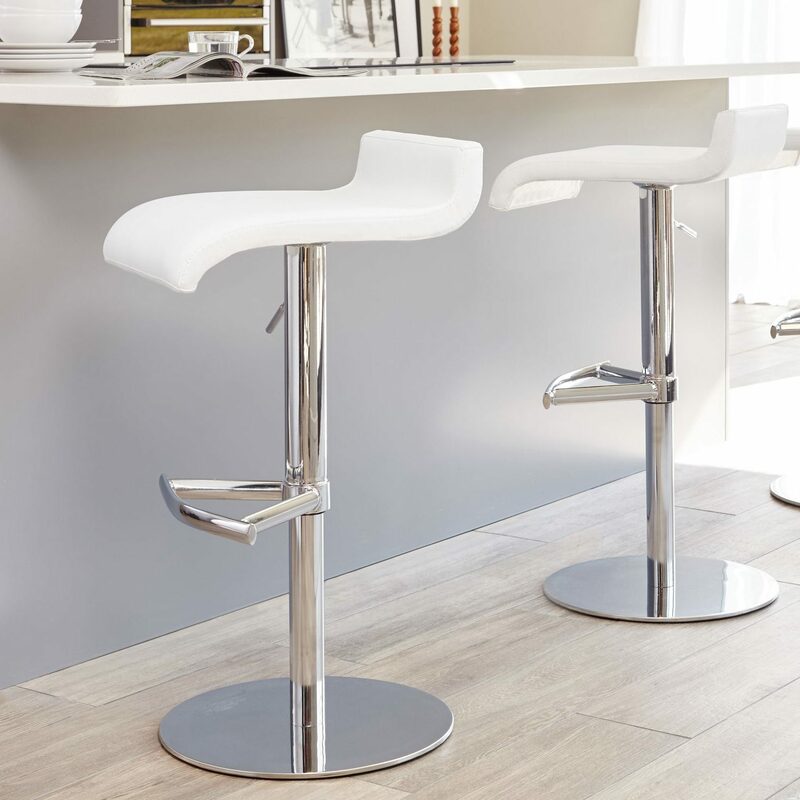 We love the stylish elegant curves of the modern Elise Brushed Steel Gas Lift Bar Stool. 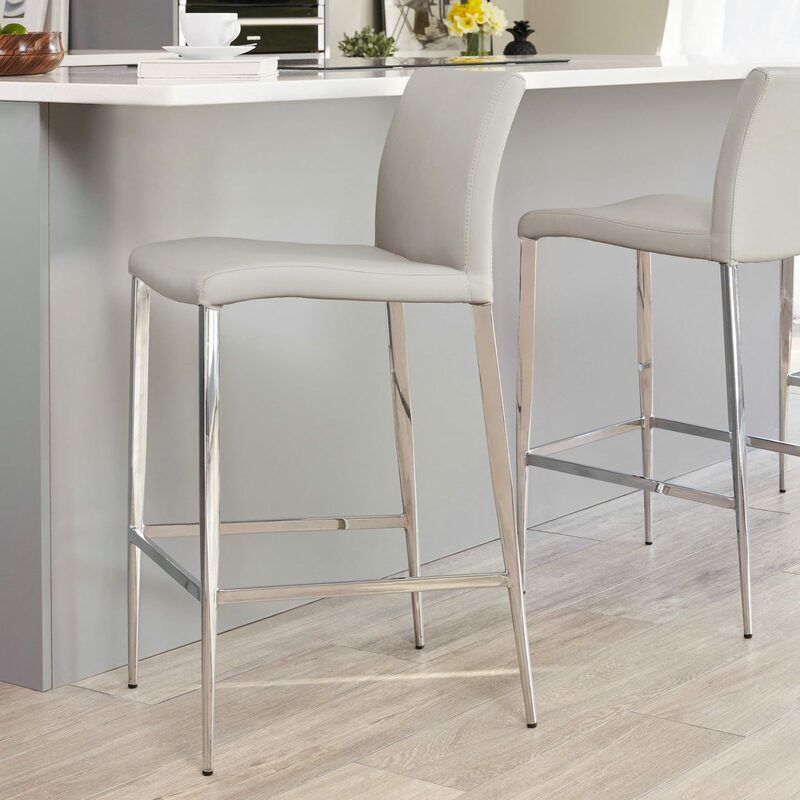 If you are looking for comfort and value for money but don't want to compromise on quality, then the Elise Brushed Steel Bar Stool ticks all the boxes. 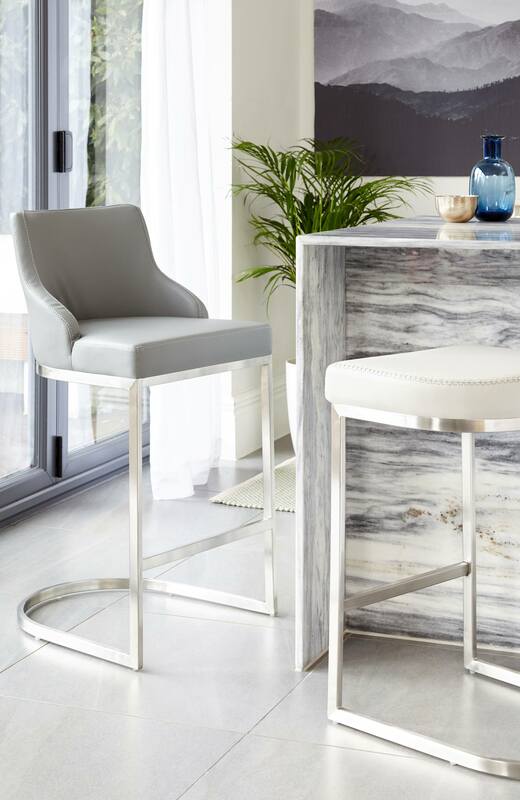 A stylish, contemporary bar stool, the comfy Elise's seat and backrest are upholstered in hard-wearing yet luxurious faux leather in a choice of classic black or trendy white. The pedestal with a flat round base has a gas lift mechanism to make the stool fully adjustable. The pedestal comes in shiny chrome or brushed steel which complements the stainless steel in many of today’s kitchens perfectly. Another new exclusive bar stool to our Elise range is this chic and comfy bar stool, upholstered in durable yet tactile faux leather in a choice of three colours - classic black, trendy cream or modern white. The frame is finished in a highly polished chrome at a fixed height of 670mm. 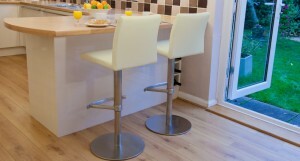 The beautifully slender legs taper to make the Elise Bar Stool a very elegant addition to any breakfast bar. Also in the range is the Elise Dining Chair. 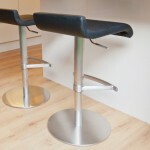 To see other brushed steel bar stools in our range, have a look at the Hammel or Adolfo Brushed Steel Bar Stools.